The length of your RTO agreement is on your own terms. And you’re never obligated to make the next payment, go into debt and you can return the product at any time for any reason without penalty. Have a temporary need for home furnishings? The HD TV for the big game. Beds for the holiday guests staying for a week. Home Furniture for the short-term assignment in another city. Staging your home you need to sell. Want to try the product before you buy it. Rent it to keep up with the latest technology. Swap your old with the new whenever you want. Take advantage of the early purchase option that will cut remaining payments by 50%. And, just in case, RTO stores offer payment re-instatement rights that allow you to resume payments if merchandise is returned so you don’t have to start over. And always remember the golden rule with all home furnishing purchases – the less payments, the better price. Please review RTO consumer tips to find the best way to use rent to own in the most affordable manner. 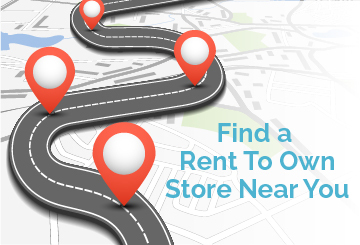 Compare rent to own with other shopping choices.